Picture yourself at the Tour de France seeing the best stages up close, cycling the iconic mountain passes, and enjoying the Trip of a Lifetime! We have become known worldwide for our spectacular rides as well as creating unique non-cyclist activities for those who enjoy Le Tour off of the bike. Our 10th Anniversary 2019 Final Week bike tour brings you to 4 of the decider stages including 3 thrilling Alpine stages and the final Paris stage celebration. Our passion driven tour company offers you smaller group sizes and a higher level of service with multiple on-the-bike guides, following van support, and non-cyclist guides. 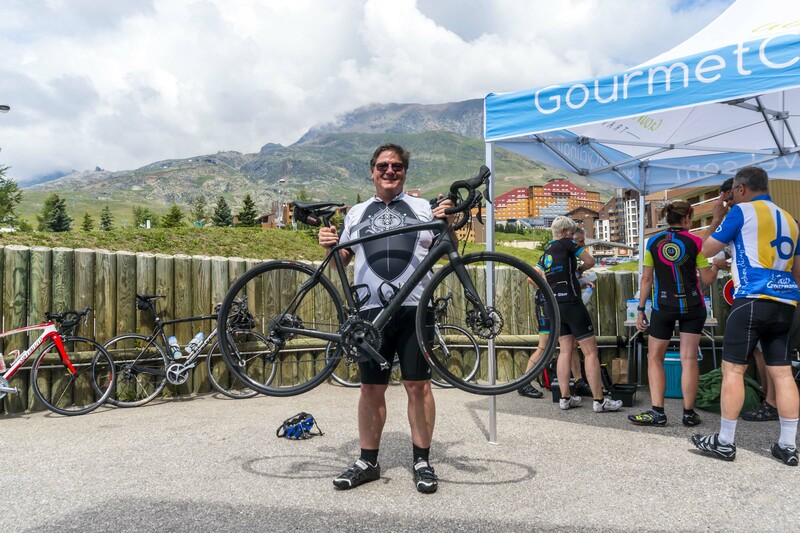 Tour company owners: Simon Kessler, former professional cyclist, and international cycling coach, leads the cycling on tour while Chef Jon; with Michelin star chef experience and years in the wine world, leads our non-cycling activities. We invite you to travel with us in 2019 on our signature TdF Final Week Bike Tour! 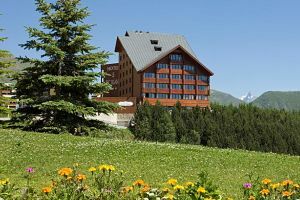 The Hotel le Pic Blanc is our favorite hotel on the legendary mountain of Alpe d’Huez. Situated on the edge of the village, Le Pic Blanc offers a calm and picturesque setting with unobstructed views onto the vast ski slopes and high mountain vistas. The Pic Blanc is an ideal launching point for epic rides including the climbs of Alpe d’Huez, the Col du Galibier, and Les 2 Alpes. 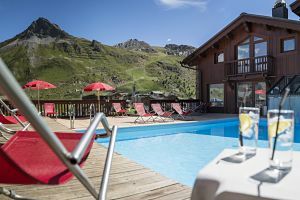 Set in the town of Tignes in the famed ski region of Val d’Isere, the 4-star Hotel Village Montana offers a relaxing location to experience the mountain stage finish directly in town and excellent access to challenging rides and delightful non-cycling activities. Enjoy the beautiful mountain vistas from our hotel, relax by the hotel’s pool after a tough ride, or savor a well deserved massage at the spa. The Saint James Albany is situated on the Rue de Rivoli in the heart of Paris and on the final stage race course. It is a short walk to our historic apartment for our final stage viewing on Sunday afternoon. 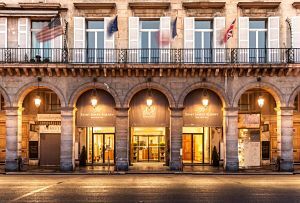 Opposite the Jardin des Tuileries, this upscale spa hotel is a 5 minute walk from the Musée du Louvre and a little further to the Place de la Concorde. Classic, warmly decorated rooms feature flat-screen TVs, free Wi-Fi and minibars. Other amenities include an indoor pool, a fitness center and a hammam. We offer top quality Specialized disc or non-disc carbon Roubaix bicycles for rent during our tours. The bikes are equipped with specific gear to climb big mountains, typically 50/34 and 11/28 cassette. The rental price for a week of use is $400. When you reserve your tour you will have the option to add a rental bike and select your preferred sizing. Our Gourmet Cycling Travel tours are known for their non-cycling activities and excursions which take place at the same time as the cyclists are enjoying an epic ride! You don’t have to make your partner follow the cyclists in a van for 5 hours or leave them alone for much of the day. Our trips cater equally to the non-cyclists with some super fun and interesting activities. Some of our non-cycling activities may include mountain hikes, local shopping, market visits, visit to local cheese producers, local farms visits, and more!